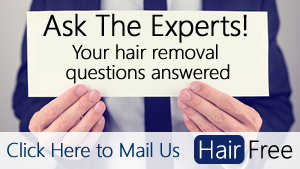 →Am I A Good Candidate for Laser Hair Removal? Laser hair removal is one of the most popular modern methods of hair removal, but it's not right for everyone. Here is a checklist of things to consider to make sure that you are a good candidate for laser hair removal. Laser hair removal is primarily good for people with dark hair and light skin. However, studies have shown that, in a small number of cases, even people with what would appear to be the perfect hair and skin type don't respond to laser hair removal treatment. Despite research in this domain, we still don't know the reason for this. Furthermore, the scientific studies in this domain aren't exactly conclusive. ​Some studies report that up to 15% of patients don't respond to treatment despite appearing to be a relatively good match for laser hair removal treatment. Laser hair removal is not regulated in some states in the US. There have also been some (relatively few) bad stories about consumers that have had laser hair removal done by people who weren't qualified. It's goes without saying that it's really important that you do your homework before having laser hair removal done. Here's an article about how to make sure you find a reputable laser hair removal clinic. Laser hair removal works by targeting a substance called melalin that's present in both dark hair and dark skin. The best candidates for laser hair removal are therefore those that have light skin and dark hair. This doesn't mean that laser hair removal will definitely work for you (see point 1), however it does mean that there's a very high chance that laser hair removal will work for you. ​If you have a darker skin tone than Fitzpatrick type IV, then there are still a few options for you. Both the Alexandrite laser (to a certain extent) and the Nd:YAG (to a fuller extent) have been shown to be both effective and safe for those with darker skin tone. Laser hair removal is great for people who are fed up of using the shorter term hair removal methods (like waxing and shaving) and who would prefer to have longer term results. ​While laser hair removal doesn't give permanent hair removal, it has been scientifically proven to give permanent hair reduction of varying degrees of effectiveness depending on the study you look at. This is great for people who would otherwise have to spent an inordinate amount of time using other hair removal methods every few days or week. Laser hair removal can be feasibly used on large treatment areas since the procedure is fast. The same can't be said for electrolysis, whereby each hair is to be treated individually, making the process slow and impractical for large body parts. In fact, some people are often advised to start with laser hair removal as a precursor to electrolysis. The laser treatment reduces the density of the hair in the treatment which consequently makes treatment with electrolysis more feasible. Laser hair removal isn't particularly accurate, though. For instance, laser hair removal for eyebrow shaping wouldn't be a good fit - such treatment would be undertaken through waxing, threading or electrolysis. Laser hair removal requires multiple sessions over a period of time that could amount to 12 months or longer. Obviously, this makes it a relatively expensive treatment that shouldn't be undertaken lightly. Many laser hair removal centres offer payback schemes that allow you to have the treatment without having to pay much in advance. This may seem like a good deal, but ultimately it means a financial commitment to pay back more than you would otherwise have to if you had saved the full amount before undergoing treatment. Be careful not to get yourself into financial disarray, if choosing this option. The laser hair removal treatment process is not pain free. However, most clinics will offer you some form of pain reliever to make the treatment as easy and comfortable as possible for you so this isn't a major concern for most people. Don't worry if you aren't sure about some of these points. This article is mainly to give you some things to think about before rushing into a decision. You'll be able to talk with any reputable laser hair removal clinic about each of these points before i) paying any money and ii) having a patch test done.